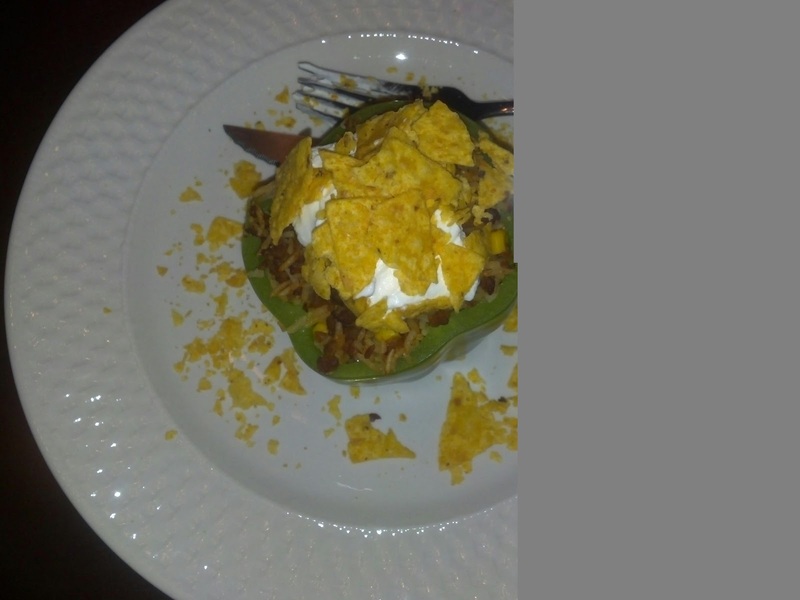 Once done, top off the peppers with crushed tortilla chips or any other garnish before serving. Also, this is a great recipe for camping as everything already made. Just wrap the pepper in tin foil placing the pepper in the middle of the foil and pulling the foil upwards so you can make a handle with the excess that would on top of the pepper. Place the pepper into the hot/warm campfire for about 20 minutes turning occassionally. It’s an even easier clean up by throwing away the foil once done eating.